MANCHESTER — On April 26, 2013 ASM Paramedic Kenya Russell and AEMT/FTO Stephanie Boutot visited Manchester’s Nike Tykes Preschool. Kenya and Stephanie gave an age-appropriate talk to the students about what EMTs and Paramedics do and when to call 911. They passed out ASM coloring books and gave a tour of the ambulance. HARTFORD – As of April 19, 2013, Aetna’s Mike Weller has been cleared by Hartford Hospital medical control for independent dispatch as a paramedic to the towns that Aetna serves. The full precepting phase can take ten to 12 weeks or more as the paramedic is prepped for the realities of the field. As with all precepting phases at Aetna, Mike’s final approval came from Hartford Hospital via Mike Zacchera after shadowing Mike and his preceptor in the field as they responded to emergency calls. 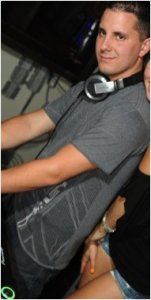 Mike is 24 years old and has worked as a DJ all over Connecticut and New England. He has worked and volunteered at Cromwell Fire Department and is a graduate of Hartford Hospital-Goodwin College’s Paramedic program. On behalf of the Aetna Family, we would like to wish Mike the best of luck and say we are very proud to have such skilled professionals on staff. MANCHESTER — On April 23, 2013, Aetna and ASM welcomed David Werfel, Esq. from Werfel & Werfel, PLLC. As our Medicare Compliance attorneys, David delivered their annual site visit. As in years past, David presented proper and compliant documentation to the ambulance crews and dispatchers. 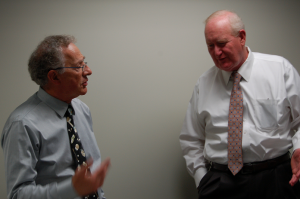 Both David and his son Brian Werfel, Esq are nationally renowned experts in Medicare billing and compliance. They have authored numerous articles and manuals, including the Medicare Reference Manual for the American Ambulance Association. In addition to reviewing EMS/Medicare documentation, they consistently share important points and evolving issues. David also spent time with the Billing Department and management team reviewing Ambulance Relief Extension, 2012 rates, Overpayment Rule, Lifetime Signature, proving medical need and other topics. I hope this message finds you in good health and spirits. I just wanted to thank everyone who contributed to the fundraiser I took part in over the weekend. Although many donations I received were from direct family, I would say 80% came from Aetna employees!!!! I was able to raise over $1,300! Our event total for the day was over $20,000 thanks to members and family from Avon Fire Department, Bradley Airport Fire, Hartford Fire, and New Hartford Fire Department. The funds go directly to childhood cancer research grants. Thanks again everyone. Have a great and safe day. Very caring for the person in need of care. I want to thank them for the great care I received! Did best to put me at ease. The entire crew was very pleasant and informative of whatever questions I had asked. HARTFORD — On April 11, 2013, three EMTs and two Paramedics were added to the Aetna team. As part of our continued growth ASM and Aetna seek out only the best candidates. We look for employees who are focused on high-quality patient care, are team oriented and conduct themselves in a professional manner. During the orientation, employees learn about company philosophy and goals, quality assurance, and policies and procedures. Adam Beschele: PART TIME, EMT. My name is Adam Beschle I’m 23 years old and I’m from Bethel CT. I started out in EMS my senior year of high school back in 2006 with Bethel Vol. Fire and EMS. I got my EMT in 2008 and started working in 2008 with a management staffing organization in Southbury. 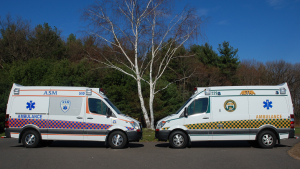 In the beginning of 2011 I started working for a commercial ambulance service in the western part of the state. Currently I am in Paramedic school at Capital in Hartford. In my spare time I go snowboarding, mountain biking, hiking, pretty much anything that keeps me outside and active. I have a three year-old daughter named Kiya. I am an Infantryman in the Army National Guard and deployed to Afghanistan in 2009-2010 with the 1-102 INF from CT. I look forward to meeting the Aetna team, continuing my education, and gaining more experience. Mitchell Karr: FULL TIME, Paramedic. My name is Mitchell Karr, I am originally from California but migrated east with my family. I began my career in EMS by volunteering for a fire department in my home town. There I realized I was more interested in the patient care aspect of firefighting, and enrolled in Goodwin College’s Paramedic Program where I graduated in December of 2012. I work part time on an ambulance in East Windsor, CT and have spent the last year working at Hartford Hospital’s Emergency Department as an ER Tech. I am looking forward to, and eager to learn the valuable information and life skills that Aetna and all of its employees have to offer. Someday, I hope to make it back to the west coast and further my career in healthcare by becoming a mid-level or an MD. David Kemp: FULL TIME, Paramedic. My name is Dave Kemp. I am 25 years old, and I currently live in Collinsville, CT, where I volunteer for the town Fire and EMS department. I became an EMT in 2009 while I was studying physical therapy and holistic health at the Eastern Connecticut State University/University of Connecticut. 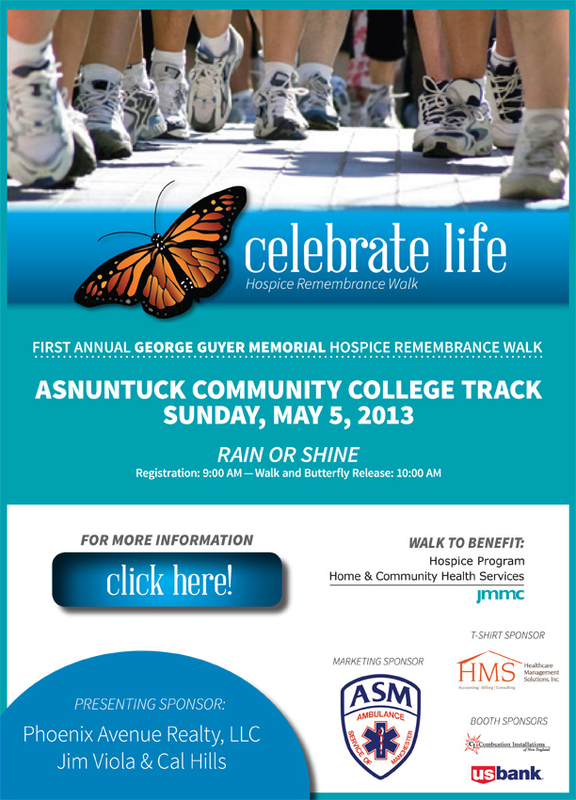 In the spring of 2011, I started working as an AEMT for an EMS Management Service Organization. I earned my paramedic in the fall of 2012 through Capital Community College. Eventually I would like to return to school and work towards earning a bachelors degree in nursing. In my free time I enjoy playing baseball, hiking, kayaking, and skiing. I am excited to join the Aetna Ambulance team, and I look forward to working with everyone. Joshua Pearson: PART TIME, EMT. My name is Joshua Pearson I am 23 years old and have lived in Vernon, Connecticut almost my whole life. I graduated from Rockville High School in 2008 at which point I joined the United States Navy, where I worked as a cryogenics technician. I was stationed on the USS George Washington (CVN-73) in Yokosuka, Japan. While on board the George Washington I did three deployments and traveled to seven different countries. My favorite three places I traveled were Singapore, Hong Kong and Thailand. I enjoyed traveling to different countries because it gives you a perspective of other cultures that you would not normally be able to experience. I have also been a member of the Vernon Volunteer Fire Department since 2006 where I became interested in the medical field. I am a new EMT and am looking forward to starting my career at Aetna Ambulance. My future plan is to heighten my skills as an EMT and in time pursue my paramedic. In my spare time I enjoy hiking, kayaking and generally being outdoors. Paul van Duinen: PART TIME, EMT. My name is Paul van Duinen. I started working in EMS about 18 months ago for a commercial company in the greater New Haven area. This is where I realized that I really enjoy the work and wanted to expand my contact with the people that need our help. I’m very excited to be part of the Aetna team. I look forward to expanding my experience and sharpening my skills while being able to help others. I’m looking forward to a career in EMS. I have an associate degree from Middlesex Community College and hope to attend nursing school in the future. My wife and I have three children. A daughter and two sons. Between the three they take up a lot of time, but time well spent. After that, relaxation comes from mountain biking, skiing, cooking and even doing yard work. I look forward to working with this new group of people since I have heard nothing but the best about them and Aetna Ambulance. HARTFORD — On April 9, 2013 Aetna Ambulance Service promoted Tiago Paula Santos from within its AEMT ranks to the post of permanent Field Training Officer. FTOs are utilized primarily to train newly hired employees in the performance of their duties in the provision of emergency care. Tiago had been an Acting FTO for the last, large hire class. The FTO and new employee spend several shifts together, with an EMT partner who acts as a driver. During this time the new employee learns the ins and outs of the job done the ASM or Aetna way, including clinical skills, operations, radios, facilities, equipment and much more. FTOs are selected for their knowledge of the company, their positive attitude, willingness to teach and dedication to quality. Our companies are fortunate to have a “deep bench” in this regard. 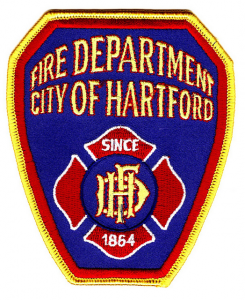 HARTFORD – As of April 5, 2013, Aetna’s Sean Piscopiello has been cleared by Hartford Hospital medical control for independent dispatch as a paramedic to the towns that Aetna serves. The full precepting phase can take ten to 12 weeks or more as the paramedic is prepped for the realities of the field. As with all precepting phases at Aetna, Sean’s final approval came from Hartford Hospital via Greg Berryman after shadowing Sean and his preceptor in the field as they responded to emergency calls. Sean is 27 years old and spent four years in the Army as a cavalry scout with two deployments to Iraq. He became an EMT in 2008 and has worked full time since then. 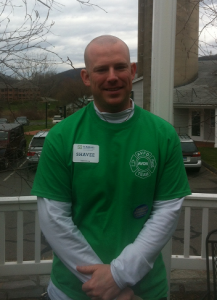 He is a graduate of Hartford Hospital’s Paramedic Program. 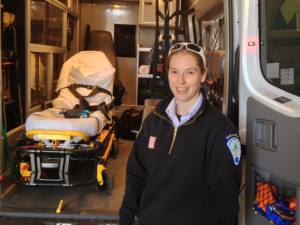 HARTFORD — On April 5, 2013 Aetna Ambulance Service promoted Ashley Harkins from within its Paramedic ranks to the post of Field Training Officer: FTOs are utilized primarily to train newly hired employees in the performance of their duties in the provision of emergency care. Ashley was cleared for independent dispatch as a paramedic for Aetna Ambulance on May 4, 2012. 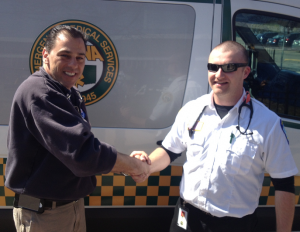 MANCHESTER– On April 3, 2013, five full-time EMTs were added to the ASM team. As part of our continued growth ASM and Aetna seek out only the best candidates. We look for employees who are focused on high-quality patient care, are team oriented and conduct themselves in a professional manner. During the orientation, employees learn about company philosophy and goals, quality assurance, and policies and procedures. Matthew Buerk: FULL TIME, EMT. My name is Matt Buerk, I’m 24 years old and was born and raised in East Hartford where I currently live. 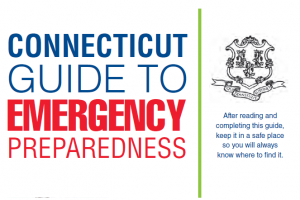 I initially obtained my EMT certification in Spring 2007, and I acquired a job at Hartford Hospital and have worked there as a Patient Care Associate for the last three years. I earned my EMT certification again over the summer of 2011. Since then I have volunteered at Glastonbury Volunteer Ambulance. I am currently enrolled in classes at Capital Community College where I intend on working towards my degree in Paramedic Studies. After completing my paramedic degree I intend on continuing my education and receiving a degree in nursing. Ultimately I plan to become a flight nurse. I enjoy, riding my motorcycle, hiking, camping, playing paintball with friends, learning about US history, and leisurely reading. Kyle Caldwell: FULL TIME, EMT. My name is Kyle Caldwell, I am 24 years old and I am now a full time EMT. I got my certification in November 2012. I attended Coventry High School and graduated in 2007. From there I went on joined Coventry Fire Dept and got my Firefighter 1 and 2 certifications and left Coventry when I moved to East Windsor in December 2012. I am now a firefighter for Warehouse Point Fire Dept. I started my EMS career with Ellington Ambulance Corp. I am a huge Red Sox and Patriots fan and enjoy playing sports (baseball, basketball, and football) and going on hikes. In my spare time I have also been learning to play guitar. In the near future I hope to get my paramedic certification and further my career from there. Ashley Cichy: FULL TIME, EMT. I’m 23 years old. I grew up in Montville, Connecticut and currently live in Vernon. I graduated from Eastern Connecticut State University in 2011 with my Bachelor’s degree in Psychology. In March 2012, I enlisted in the National Guard and went to Fort Leonard Wood in Missouri where I completed my basic training. It was very challenging, but definitely a valuable and life changing experience. I start officer training through the military this month and plan to branch into the medical field once it’s complete. I began my EMT course at the New Britain EMS Academy in September 2012. I’ve always had a passion for helping others and really enjoyed the class. I love learning and would like to pursue further education. In my free time, I like running, hiking, reading, listening to music, going to the beach and spending time with my family and friends. I am excited to begin working in this field and look forward to learning and growing. Rory Davenport: FULL TIME, EMT. I am 22 years old. I have lived in the town of Andover my whole life. I went to RHAM high school and got an Associates of Science from Manchester Community College. I am part of the Andover Volunteer Fire Department where I am a Firefighter and EMT. I have been an EMT for almost 2 years, I love EMS and am very excited to start my full time career with ASM. I took my EMT class at ASM through Manchester Community College in the summer of 2011. I hope to eventually continue on to become a Paramedic. I have spent a lot of time hopping from odd job to odd job over the last few years with a few stronger jobs in between, all the while hoping to get a long lasting job as an EMT and I’m ecstatic that it finally happened. I know that nobody is perfect, but I take pride in what I do and whether it’s in a fire, or in the back of an ambulance I do the best I can and I am constantly learning ways to improve myself. In my free time I exercise, I am an avid gamer, and a comic book geek. 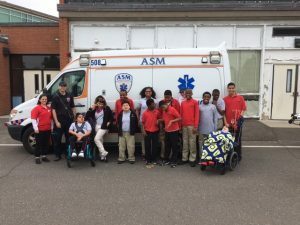 ASM Teams Up with East Hartford Middle School’s Special Education Department!